On his way to being a NYC based artist, Ross studied a little at Stella Adler Studios, Guildhall in London and The Lucid Body House, and he studied a lot at Princeton University. He’s an actor who enjoys performing in pre-existing stories as much as he does writing his own, so you'll find a mix of stage/screen acting as well as stage/screen writing on his site. His favorite credits include Richard III for thousands on the Boston Common, The Seagull at Princeton, and writing/producing Autumn Leaves; a play exploring love and our agency in creating it. Ross received the Tim Vasen Award for dedication, passion, risk taking and exceptional accomplishment in theater as an undergrad, along with the Alan S. Downer Award for an exceptional senior thesis in Drama. Ross recently finished a new short film! It’s the story of a Vietnam draftee caught sneaking out of the house by his younger brother. The boys struggle, each trying to be more brave than his brother, but in the end they can’t part ways without expressing their love and hope. Autumn Leaves is a love story with too many authors. Artie, a screenwriter, and Will, his character, find themselves at odds in how they think their story should end. Will will do everything he can to change the fate that's been written for him, and Artie will try to stop him because that's not how it happened. What neither of them understand is that it's not up to them; it's up to Autumn - the woman they both love. 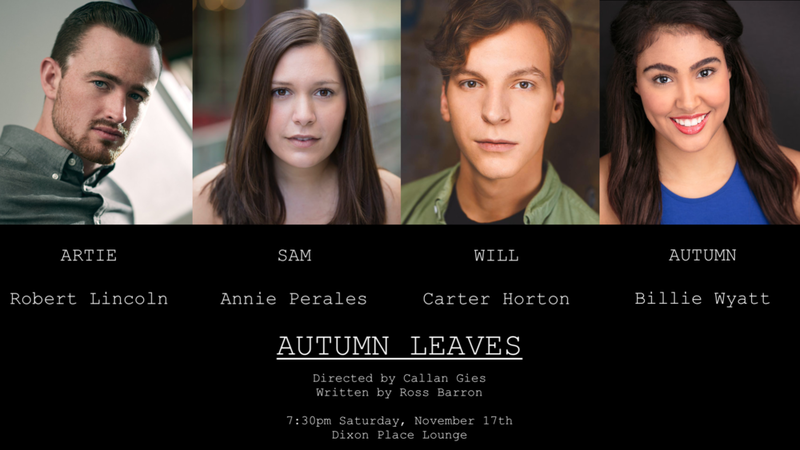 Autumn Leaves saw a November 2018 showing in the lounge at Dixon Place. 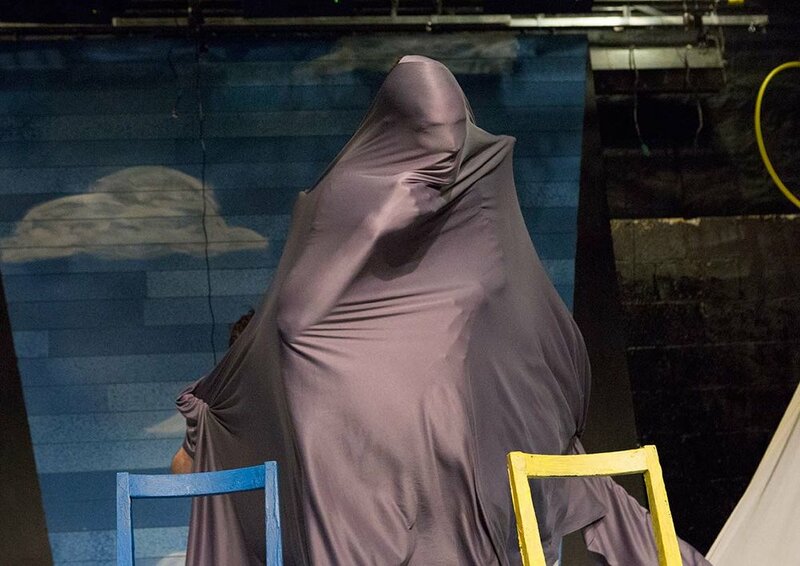 "Ross Barron's play, '[Work in Progress]', is a funny, touching, clever, and deeply theatrical exploration of creativity, autonomy, and romance." Can you believe people paid to see this theater when it was live?? And now you get it for free!! "In addition to being a most dedicated artist, Ross is a quiet leader and encourages others to stretch and grow... He is smart without pretension, assertive with grace, modest without bashfulness, and has the capability to achieve transformative creative expression." "Ross was a terrific collaborator, a company leader, the kind of performer who raises the bar for everyone he is working with through his dedication, work ethic, and infectious good humor." "Kudos to Ross Barron (Messenger) for bounding down the stairs with action-villain energy. 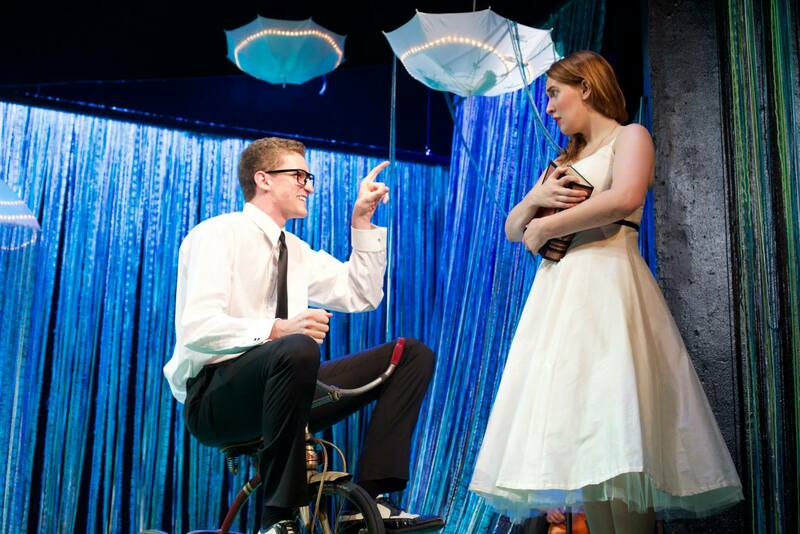 Don't break a leg!" "Not only was Ross a great guy, but he was very professional and supportive on set. I look forward to working with him again." 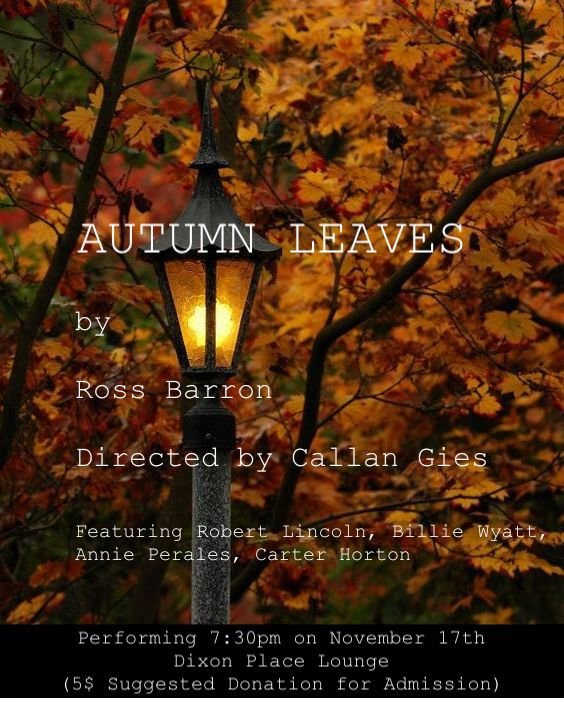 "Ross Barron, a Princeton graduate who has already studied theater at Stella Adler in this country and Guildhall School in London, handles the tricky role of the inspector with great authority, completely commanding several scenes." "Barron and Milla have the challenge of being two completely different characters. They're convincing enough that I wasn't sure they weren't different actors."